Huge! Game this Sunday night. As the Giants look to keep their playoff hopes alive this Sunday first the Eagles. This game could get very interesting depending on what happens in the Dallas game. If Dallas beats San Diego this game becomes VERY important for the Giants. If Dallas loses to San Diego the Giants are in good shape whatever happens in the game becuase of the Cowboys difficult remaining schedule (at the Saints, at the Redskins, with the Eagles). Becuase the last week of the season either the Cowboys or the Eagles WILL suffer a loss, no way around it. Lately though the Giants have played very poorly vs the Eagles. They have 10 loses total over the past two seasons and three of those have come vs the Eagles, two of which where in New York. Can the Giants get over the Eagles curse? Better young talent on offense the Eagles with with DeSean Jackson, Maclin, Celek, McCoy, Cornelius Ingram (IR), or the Giants with Steve Smith, Mario Manningham, Hakeem Nicks, Ramses Barden, Kevin Boss, Travis Beckum, Andre Brown (IR)? That is a tough tough question. Right now I would have to say tie. Both young squads are playing well and making plays. I give credit to the Eagles. They draft really well and then here’s the key — they USE their draft picks year one! Coming from a Coughlin regime you’d think that was crazy talk… but the Eagles have done a great job of infusing their young talent into the team and it’s paid off for them especially at receiver. I thought if they hung onto Buckhalter and Dawkins they would have surely made another run. Now I’m not so sure — their Defense plays well but not the same and their running game has gone down the tubes of late. We’ll see who get up for the Giants this week. I think this tilts clearly to the New York Giants. The Eagles have the more EXPLOSIVE offensive weapons. All of their players are very capapble of big plays, but none of the young talent on the Eagles blocks well. Jackson is a very below average blocker, Maclin doesn’t block, Celek’s not a great blocker, McCoy doesn’t block well. That’s not necessarily the case with the Giants. I think the Giants also have MORE young talent, that I think complements each other very well. To me, Maclin and Jackson are very very similar players, but for the Giants Nicks is a downfield yards after the catch guy, Manningham is an elusive guy, Smith is a great route runner. The Giants should be able to attack the three areas of the field (short, intermediate, and long) better than the Eagles. Hopefully the Giants talent continues to blossom. Has Bill Sheridan figured things out a little bit here? Not so much as he’s TRIED some things differently this past week — and they worked! Go figure.. you switch it up and the offense has no idea what to expect, you create confusion — you win. Keep it up, and all we can do is see how the Eagles respond. One thing I liked seeing in the Dallas game was Osi coming in and flying off the line when everyone else was gassed — I think the new rotation with starting rookies and using your vets as more support worked really well, I think that rotation will be a key ingredient of Sheridan’s recipe should he chose to serve it to the Eagles this week. Maybe we’ll finally get some real pressure up the middle and close in on McNabb. I am not convinced yet. Teams are still destroying the Giants in the middle of the field. The run defense was greatly improved. I’m with Mark. I’m not convinced yet. Let’s see something good here. Better Head Coach…Tom Coughlin or Andy Reid? Totally different styles. You know I like Andy Reid’s creativity and offensive game plans, but Tom Coughlin is clearly a better game manager and disciplinarian. My answer ultimately comes down to — who has more rings? I am going Coughlin for one simple reason the ring. I think that’ a tough call. I’m not sure what Reid is yet. he’s a great coach, but he’s struggled in big games, and I want to see how well the Eagles defense plays this end of the season without Jim Johnson. This much is for sure, Reid’s teams are very fun to watch, the Giants are more fundamentally sound (usually this year seems to be an exception). I thought at the beginning of the year (Before the injuries) that the Giants should move Terrell Thomas to safety, well I had the right idea, but the wrong player. Should Aaron Ross be moved to safety, not only for the rest of this year but as the Giants move into next season? With the stellar play of Terrel Thomas I would not be opposed to the move. I would keep him there at safety this year and then readdress the situation at training camp next year. Since I’ve started watching football, I’ve always placed great safety play higher on my indepsinible players list than most people. (QB, OL, Pass-rushing DE, Shut Down CB, Safety). To me, two great safeties can cover up a lot of problems in the secondary. I’m not a big Michael Johnson fan, I think his potential (even though he is young) is an average to slightly above average Safety. I’m all in favor of seeing if Aaron Ross can make the switch, or lucking out in the draft with a Taylor Mays or Earl Thomas from Texas. One big issue this Sunday could be the weather. Both teams like to throw the ball downfield, although so far the Eagles have the better downfield options…would a windy day help or hurt the Giants this week? We know that Eli isn’t the best windy thrower. So it will hurt a bit. The good thing is, the Giants have a great short passing game. Steve Smith can work the short routes, and Hakeem Nicks is great on screen passes. So they don’t need to go downfield all the time to be successful. If this was last year I would say bring on the wind. I hope it’s windy downfield, but that teams are able to complete shorter passes, becuase I think the Giants have great yards after the catch guy who can go over the middle consistently. I think the Eagles are better at going way downfield.Who’s the Biggest X-Factor in this game? Giants offensive line. If they give Manning enough time to find his receivers the Giants have a shot. To me the X-factor has to be C.C. Brown and Aaron Rouse. Limit the big plays, please. I read that the Giants expected Travis Beckum to be a part of the game plan last week vs the Cowboys before he got hurt…we’ve seen the Giants start infusing some of their younger players like Clint Sintim and Jonthan Goff…do you think Travis Beckum will do anything in this game? Travis Beckum should just be the H-back. I think he can block as well as Madison Hedgecock, and one of those swing passes out of the backfield Beckum might be able to take 35 yards down the field instead of dropping it or going 3 yards. As I just stated in the previous question I believe it all starts with the offensive line. I feel that right now the Giants have some confidence and Manning and Co will play well at home in a big game. I think this is important aspect of the game. I think the Giants WR have had a hard time getting off the jams from the Eagles, (especially Steve Smith), but hopefully Hakeem Nicks can have a big game this weekend with his strong hands and upper body strength. What kind of impact does Asante Samuel have on this game? I think either way Samuel has a big impact on the game. He’s either going to get a big interception or get burnt. That’s just the way he plays. Super agressively. Is the Giants special teams finally rounding into form? In terms of Hixon making things happen, yes. I would like better coverage when I can get it but lets say its been adequate. Feagles eliminates returns, great – but he needs about 10 more yards on his leg to truly help out the Giants. Same for Tynes, more leg on kickoffs will really help out the defense I think. I think the blocking has been terible. I think the individual play on Special teams has been great at times, with Bryan Kehl, Jonathan Goff and C.C. Brown doing well at times. Terrell Thomas is second on the team in tackles and first in Intercepetion how has his play been this season? Terrell Thomas is in the running for Giants defensive MVP. He has stepped up his game and has made the loss of Aaron Ross alot easier to handle. I agree. I think Justin Tuck has played much better than people think he has, but much worse than people thought he would this season. Terrell Thomas is really rounding into form and becoming the player the Giants hoped the had got when they selected him in the second round. Yeah. As I’ve said before, the Giants have done a great job limiting pass rushers. A lot of credit has to be given to Dave Diehl. I think a better question might have been moving forward who would you rather have on your team: Trent Cole or Justin Tuck? Cole has had a great year. He has a great motor and has really improved against the run. Bruce Johnson and Corey Webster have struggled lately, do you see bounce back games for them this week? Perhaps – It depends on how focused and physical they can get. Bruce Johnson had great coverage on Roy Williams and Tony Romo still fit in a pass within an 8 inch window, so while that was a signature Bruce blunder I think reviewing the tape shows he broke on the move as best he could and it came down to a 100% perfect pass that still made the play. Webster better get focused though. 2 touchdowns on your watch never looks good — thats CC Brown territory. I’m really afraid of what the Eagles will to do the Giants defense this week. Bruce Johnson might be hitting the rookie wall. In the FBS it’s like 20 hours of practice a week (if that) and then a game. In the N.F.L. it’s so much more time for a much longer period and it wears down some people in their rookie seasons. I asked Andrew about how to stop this explosive Eagles offense. What’s the key for the Giants on defense this week? Stop the run and get some pass rush. Those are the fundamentals of Giants Defense and is the engine of the team. If they can contain big plays too and minimize the mistakes, of course. But KEY is the pressure on McNabb and stopping the run at all costs. I think I’m in the minority when I say that this week, I’d almost rather see the Giants do a little bit of dropping 7 and 8 guys into coverage. I could be mistaken, but I don’t think the Eagles usually send a ton of guys into routes. ( and I think that because I can’t even recall who the Eagles fourth WR is)..especially against the Giants. Maybe if the Giants drop everyone into coverage they can counter the Eagles max protect schemes and get some coverage sacks. What’s the offensive key for the Giants in this game? 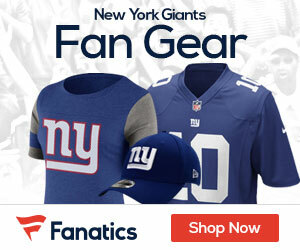 Who has a better game vs the Eagles: Brandon Jacobs or Ahamahd Bradshaw? I keep wanting to see Jacobs have a huge game but I just don’t see it happening. I am leaning towards Bradshaw to break a big run or two on Sunday. This is it. We thought last week was big, this is bigger. A loss, and the playoffs are gone. A win, and you’re set up pretty well. Fans need to be loud. Defense needs to get in McNabb’s face. It’s the biggest game of the year. Don’t let us down, Giants. Giants playoffs start on Sunday. If they can beat the Eagles they are right back in the thick of things. Final Prediction for the game? Sometimes teams don’t play well against another team. The Redskins can’t seem to beat the Giants lately, and the Giatns can’t seem to beat the Eagles. The Giants might be able to come out and beat the Eagles, but I don’t know. I don’t think either team is playing well this year, but I think the Eagles are playing better. The Eagles are not intimidated by Giants stadium and until I see more from the Giants not picking them against anyone. The reason you cant figure out who the fourth receiver is — is because its a running back. Worthy article. We know what the Eagles will bring… aggressive defense, solid pass coverage, speedy weapons, and a solid QB. Who will the Giants be on Sunday? Because the O-line hasn’t been playing like they’ve played in previous years, the Giants will continue to have trouble with the running game, and therefore be on the wrong side of the time of possession. Against the Cowboys last week that was offset by a few big plays that put points on the board, and a critical turnover. But relying on that happening against the Eagles is akin to hope, and hope isn’t a strategy. If the big plays happen, then that’s fantastic. But if they don’t, then the Giants still have to be able to win by moving the chains, not turning over the ball, and not giving up the big plays on defense or special teams. If Sheridan made the right tweaks last week that carry over into this week in the form of big stops and big plays, then the D will get fired up and maybe control the Eagles offense… and they just might win this one. If they play back on their heals, and give up a few big passing or running plays, then Eli’s gonna feel the pressure… and that could mean trouble again. playing smart defense helps you win games in so many ways, turnovers are just one manifestation. defensive takeaways are part of the game…. thats football, i wouldnt say its simply luck or hope. each team is capable of playing excellent football and have shown they can beat each other myriad ways. anything can happen. the rivalry is storied between these two teams. and the Giants have a shot to win this one for sure. so this one comes down to who wants it more i think, intensity and focus… intangibles yes, but a major factor none the less. Who cares? 2 terrible teams in terrible cities with terrible fans with terrible cheerleaders. first of all, the Giants dont have cheerleaders. second of all — the Philly cheerleaders are actually pretty damn hot, but you have to have that NY or PA blood in you to understand. third – this is THE game on Sunday. so it sounds like you, Fred, are not privy to quite a lot going on for this game…. unfortunately. two .500 teams NEVER makes it THE game Andy. “an epic game for a wild card birth”… Yawn. Andy is it “gut check” time? wasnt the Saints Skins game last week supposed to be a blowout? Skins had that game won and SHOULD have won. NO got lucky. and both the birds and giants are above .500 by the way.